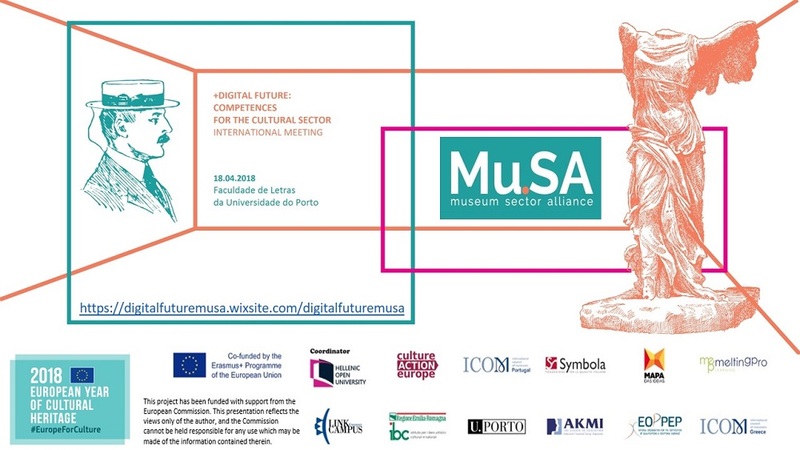 An International Meeting that addresses digital and transferable skills identified as non-existent or insufficiently developed in the cultural sector, aiming to raise and enhance awareness for its potential and crucial role in cultural heritage and in inclusive museums. An organization of Universidade do Porto (Department of Heritage Studies) within the framework of the Mu.SA project, also celebrating the European Year of Cultural Heritage Creative Europe, Ano Europeu do Património Cultural 2018 and the ICOMOS International Year of Monuments and Sites. Registration for free but mandatory.